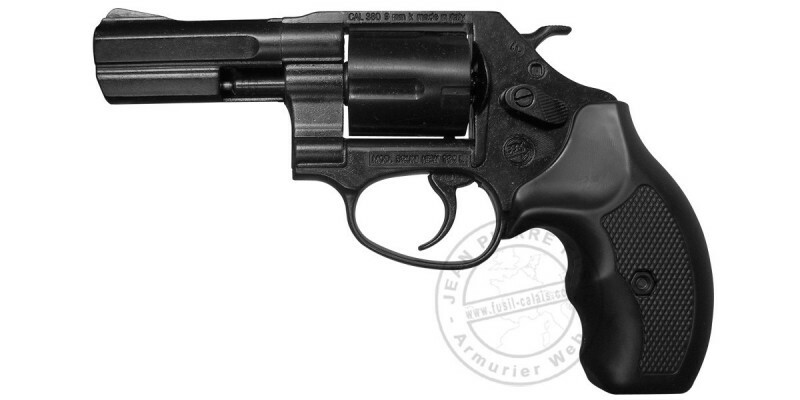 Realistic revolver suitable for firing blanks and cs gas rounds, maybe a better home defense choice than gas aerosol. Perhaps load to fire one or two blanks first, following up with cs gas? Rubber ammunition for alarm weapon, to be used with the Self Gomm tip. Nylon belt holster - 3" or 4"